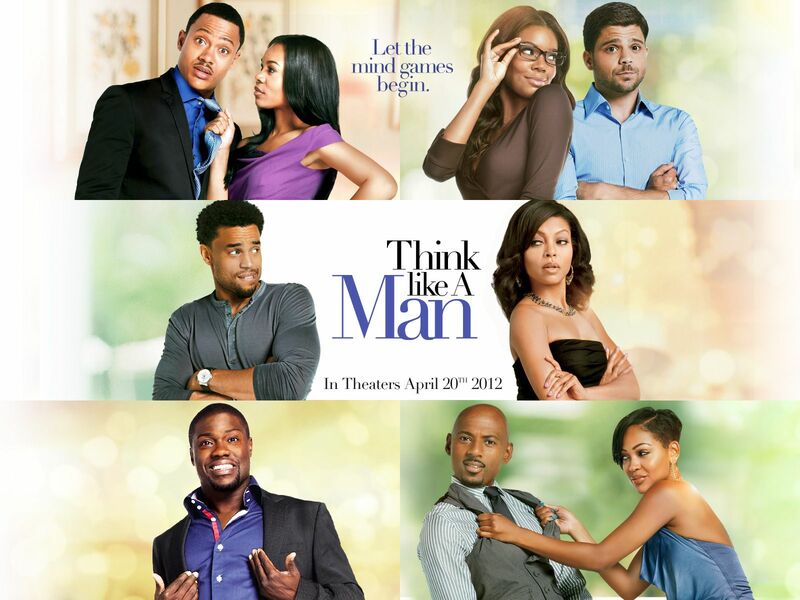 After watching ‘Think Like A Man’ I took my time to discuss the film a bit with some folks. 1st let me say I’m happy I’m in a great relationship at the time I write this so when I do give some of my opinions some people don’t just dismiss them as the ranting of another single guy. During my discussions, I was trying to place their opinions about the film and what I got was the general idea that the movie was funny – yes I agree with this; the movie did have punch lines, and a lot of comic among the characters and in different catchy ways to keep the audience laughing. When I asked them about the underlying plot though, which suggests that every relationship has some set of rules or that every relationship is some sort of game where even though there’s love, each party is trying to win, I got varying responses ranging from, ‘I don’t think there’s some set rules’ to ‘they have a point’. Now let me say this, in my opinion, if you currently are in a relationship or plan on having a good sustainable one soon & then decide to follow the ‘tenets’ of this film, then I believe you are on for a disaster relationship, one that will never grow to its full potential. I will say this, Relationships are not games!!!! This is the underlying perception of a lot of people and it’s what a lot of youths today think thus they keep having tragedies called relationships everywhere. As one person put it, you have to know how to play the dating game! I do not know where the world got this but let me give you this point of view: ‘If you think relationships are games, do you realize that people only play games to win and there really can only be one winner for a game to be any fun? So tell me what are you trying to win in a great sustainable relationship where the other party loses?! Now that I’ve let y’all have that please on to the review of the film. [toggle title=”Plot/Production“]I’m sure from all I wrote above, you can deduce that I’m not really into the plot of this film. It may seem like a trivial thing but I want people to realize perceptions are strong things, they pick it up a lot of times unconsciously, and movies have a way of pushing out perceptions into the minds of people. This was a nice relationship to observe, the woman seemed entirely grounded and secure in herself while the guy truly was a good catch, he just was too attached to his mama. I know it’s hard sometimes for some guys to define the point where they get to balance mother/girlfriend relations. There’s reward in honoring your parents but men need to know how to nurture healthy relationships between their mother and the women who enter their lives without allowing any of both parties determine the outcome. This is the first time I’m seeing Terrence in a movie, I guess he transitioned well from hosting 106 & Park on BET to acting and Regina played mum looking for love alright. I look at this relationship and see a significant truth about men and women. To the Men, if you are not a dreamer, you need to start dreaming and focusing on your visions (I sometimes have to remind myself to focus too) and women please, I repeat please encourage your man’s dreams and help in fulfilling them it’s not for just him; it’s for you both. Also, the issue of men with women who are more established financially or in status than them is something people have different opinions about, the major reason I believe people have issues with this is that they still don’t understand what a relationship is! In a relationship, it’s not about you anymore but about the other person and you both as a whole (if you have to remind yourself that constantly, then do). So understand this men if she has more money than you, that’s no reason to be insecure, and women don’t ever lord this over your man, he’s still the man. Michael and Taraji are stellar actors and played their roles well, their characters both had things to learn from each other and I’m glad they did. I have never really understood guys who want to have girlfriends for great long periods and just forget that movement is essential in a relationship. You have to have a vision, a mission and a destination if not why take the journey at all? It’s a relationship not a meet and greet. Jerry Ferrera just seemed like even a much more perfect fit for the guy who refused to grow up; he has this kid-like attribute to him. At first I wondered about his pairing with Gabrielle but after watching I say another set of kudos to the casting team. Both of these characters related to me the least. I’m sorry being a ‘player’ has always felt like the thing boys who didn’t have enough toys while growing up do just paraphrasing; not only does it reek of being a simpleton, it also exudes insecurity. As for Ms 90 day rule, if you are reading this, you need to value yourself a bit more than that. It feels like you are telling the guy I lose value after 90 days all you have to do is wait & you get it all. I can tell you for a fact that there are people who would patiently out wait those 90 days & then do ‘the Chris brown’ as seen in the movie. I don’t go out with guys who don’t open the door for me. Kevin Hart and Gary Owen play the Un-happily and happily married men respectively and it was fun watching their contrasting point of views. Kevin’s may have been more prominent because he’s a funny man but Gary did say some things for you to ponder on, but if I’m right you can’t really remember anything he said. Well if you can watch it again listen to some of what he says. Jenifer Lewis plays attached momma, a role I’ve seen her act before if I’m not mistaken. There were a variety of cameo stars ranging from musicians like Chris Brown and Kelly Rowland to other actors like Tika Sumpter and Morris Chestnut, and even Wendy Williams! Finally we have the NBA stars who whooped the guys on the basketball court. I’m going to end on this note, it’s just a movie, a comedy for that matter and even though I may not be an expert when it comes to relationships, I do know that every relationship has its peculiarities. This movie was entirely filled with stereotyping and general assumptions, but I guess that’s why it’s what it is, A MOVIE!